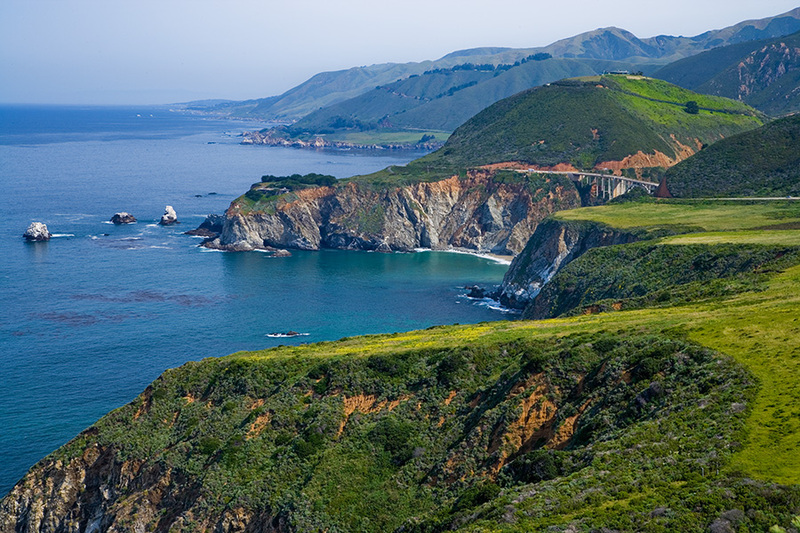 One of the most beautiful drives in the world is along California's Highway One. Near the middle of the state, just below Carmel, you have soaring Redwoods on one side and high rocky cliffs dropping into the ocean on the other side of the highway. You'll often see this highway used in car commercials. Typically it's covered in a blanket of fog in the morning and then the skies clear in the afternoon. 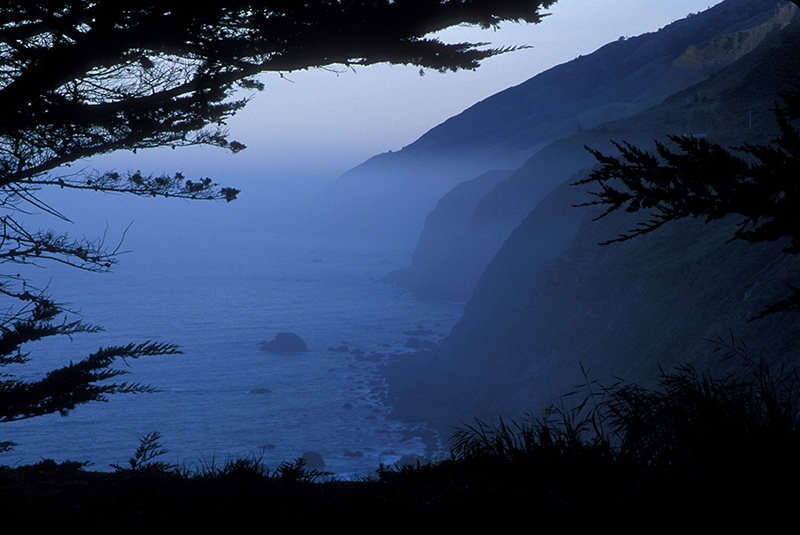 Big Sur with all it's majestic beauty and easy access is nothing but photographic opportunities awaiting you. If you stay at the lodge inside the Pfeiffer Big Sur State Park you can just head out the door and take anyone of the many trails in the morning. 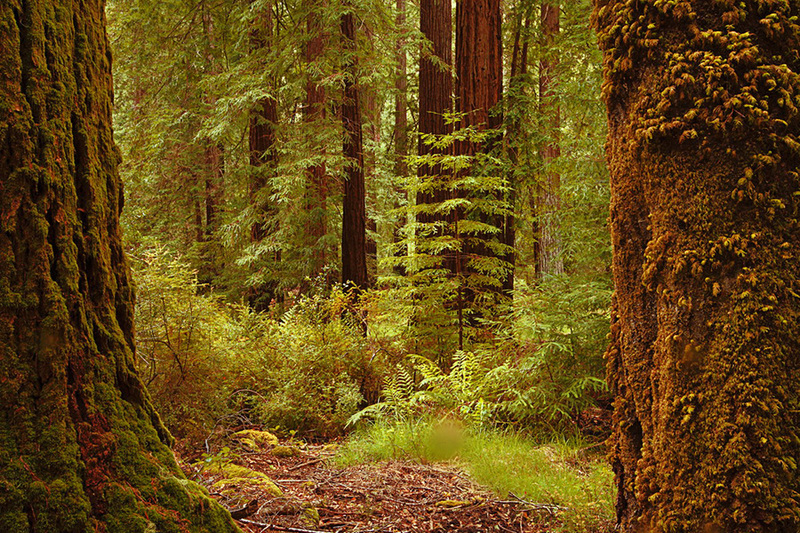 There you'll find tall redwoods, waterfalls and a fern covered forest floor. You can also find many turnouts along Highway One that overlook the Cliffs. The fog helps to separate the cliffs. I like to keep my camera set on it's daylight setting. This captures the blue light and gives it a cool look. My favorite spot was Ragged Point, but the last time I was there they had a chain link fence around most of it. In the afternoon if the cloud cover breaks a little you'll want to head down to Julia Pfeiffer Burns State Park. It's another state park just south of the Pfeiffer Big Sur State Park also on Highway One. It's easy to miss so I always like take along Andrew Hudson's "PhotoSecrets San Francisco and Northern California". It not only covers Big Sur but it also covers the San Francisco region and has a section on Yosemite. Complete with maps, beautiful photos and all the details. He even provides a clock face showing the best time to photograph each location. 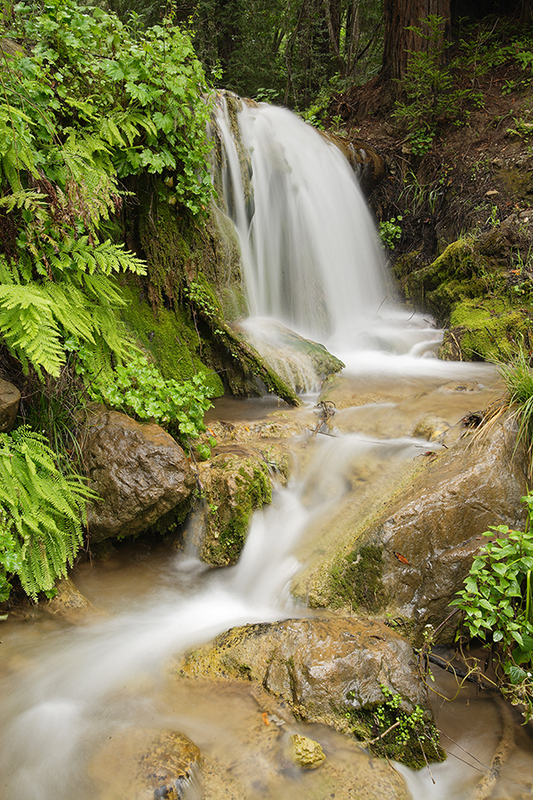 With Andrew's book you'll find an excellent map for finding Julia Pfeiffer Burns State Park. 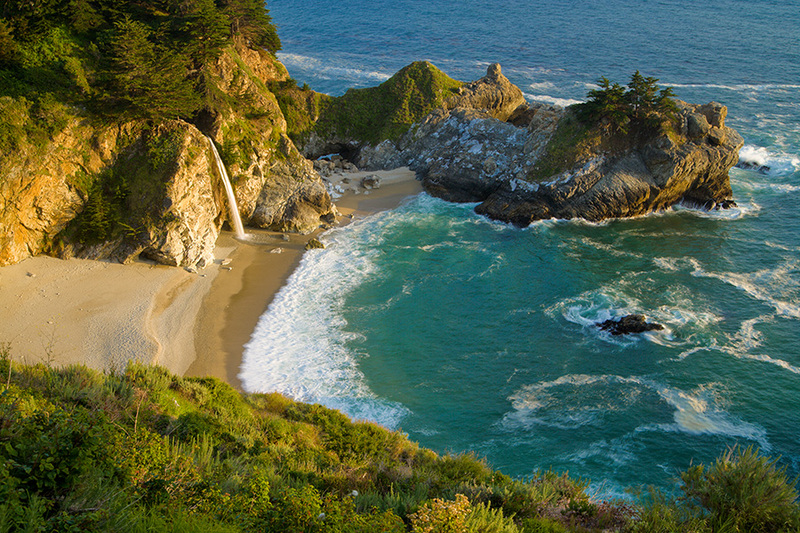 This is where you'll find McWay Falls. It's a 80 foot waterfall that flows into the Pacific Ocean. You won't want to miss this one even if it's socked in. Andrew has a beautiful photo of McWay Falls covered in fog. The fog gives it a mysteries mood. Often right at sunset there will be a clearing on the horizon and the sun will poke through. Another great way to get a feel for this location is Don Gale's DVD "Photographing San Francisco and the Central Coast." Don travels from Santa Barbara to San Francisco with many photo stops along the way. He shows a unique viewpoint at McWay Falls. You'll get an inside look to the thought process of working pro. Don provides many tips and locations. This video won a couple of awards including "Best Editing" by yours truly. I had so much fun. I actually went with Don on the trip and learned sooo much!A fun place to visit is Nepenthe Restaurant. It's a 4 star restaurant with a spectacular view of the coastline. Soak it all it in on their beautiful deck. It doesn't get better than this. For great photoguides see Photo Secrets "PhotoSecrets San Francisco and Northern California"
For Don Gale's DVD "Photographing San Francisco and California's Central Coast"